Four police officers were shot dead while security forces killed two suspected gunmen in Indian-held Kashmir (IHK) on Wednesday as tensions rose before a major Supreme Court hearing on the troubled region. Five police officers who had stopped near the southern Kashmir town of Shopian to repair their vehicle were ambushed, Inspector General of Police Swayam Prakash Pani told AFP. “Four of the police were killed. One who was inside the vehicle at the time of the attack is safe,” Pani said. Separately, two suspected gunmen were killed in a gunfight with government forces not far from the attack on the police, officials said. The Muslim-majority Himalayan region has seen a resurgence of clashes in the past two years. Security officials say at least 144 fighters have been killed this year, while more have joined their ranks. There are an estimated 250 active underground fighters, they say. 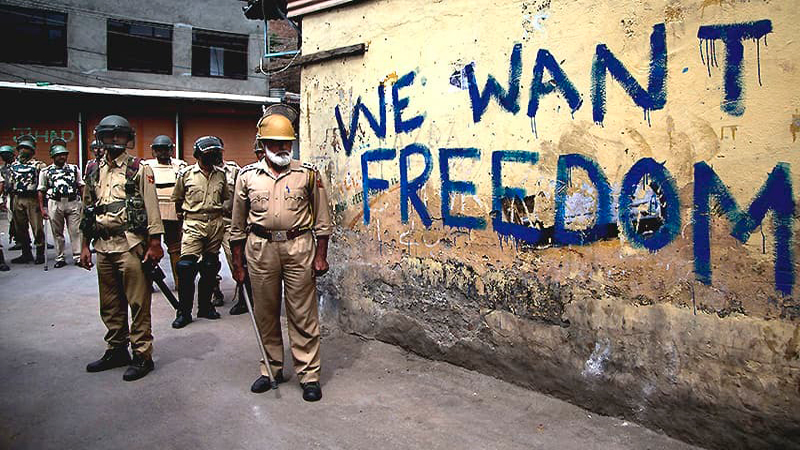 Kashmiri groups have called a general strike for Thursday (today) and Friday (tomorrow) before the Supreme Court hearing, which they fear could allow Indians from outside Kashmir to buy property in the state and get government jobs.